When getting ready to head to Portland, Oregon be sure to arrange a private jet charter flight with Charter Flight Group. With over 30 years experience in providing private aircraft to Portland from destinations both domestic and foreign, CFG has amassed quite an impressive fleet selection of turboprop and jet aircraft to meet the needs of any private charter client. Indeed, whether you need something small for a quick trip from Seattle or Vancouver, such as a Beechcraft 1900 turboprop or a Beech jet 400 or something with greater range and capacity, such as a Falcon 50 mid-size jet, Falcon 2000 large jet, or an Airbus jumbo airliner jet, we can take care of you. At CFG, we believe in two immutable laws to provide our private charter clients with the best flights in the world. The first is safety, for unless a flight is safe, it simply cannot provide the kind of service expected of world-class clients. The other is professionalism, for without professional pilots to provide a smooth and safe flight; without professional flight attendants to provide royal treatment to our clients; without professional certified maintenance personnel to maintain our aircraft in pristine condition; and without professional private charter flight consultants to ensure that nothing is left to change with our clients, we could never provide the kind of world-class service for which CFG is known. 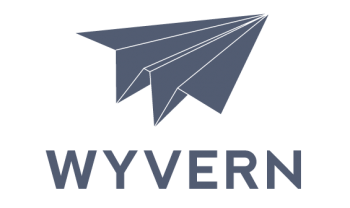 We are so serious about safe flights that we retain the services of the finest flight safety companies in the world—ARGUS and Wyvern. These groups help ensure that not only do all aircraft meet, but exceed all FAA requirements, thus ensuring that all jets are ready at a moments notice. By holding to such standards, we are able to offer reliable on-demand private charter service, one-way jet flights, even empty legs, for we have an abundance of business. On booking your private charter jet to Portland, Oregon, your flight consultant will offer you a selection of airports in which to land. Here is some information about these that you may find useful. 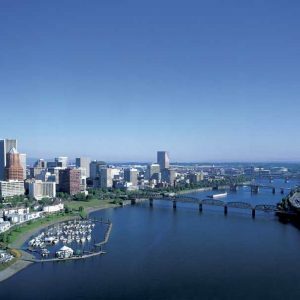 Portland International is often the favored choice for it places you just to the north of the city alongside the gorgeous Columbia River, which borders Oregon and Washington State. Nestled between I-5 and I-205, this airport provides easy access to anywhere in Portland. Just a short distance to the east of the International Airport along the River and I-84, is Portland-Troutdale Airport, which is often preferred by those seeking a quieter location to touch down.Many corporate and executive jet charter clients prefer Portland-Hillsboro Airport, which is located a way out of the city to the west. Getting into Portland is a simple matter of taking U.S. Highway 26 east. There are numerous other airports at which you can land your private plane, such as Mulino State, south of Portland and Pearson Field to the north in Vancouver, Washington and your private flight consultant can discuss the benefits and advantages of each if you would like. Portland has much to offer the personal private charter client. 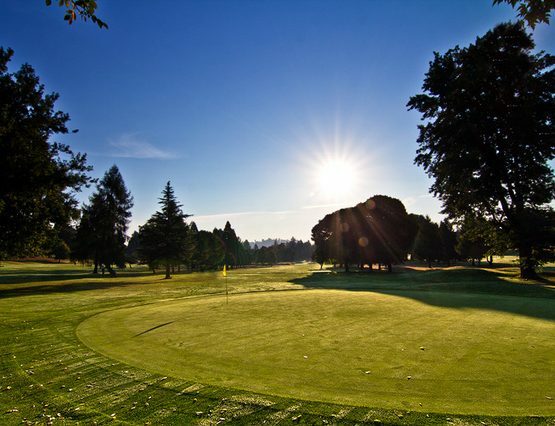 Some of the more popular destinations include Columbia River Gorge, the Portland Japanese Garden, Laurelhurst Park (especially in the autumn), Pittock Mansion, Arlene Schnitzer Concert Hall, and the Dragon Tree. For those taking their private jet charter to Portland for business, it simply must be noted that Portland has become famous for its environmentally friendly business climate. This is a city of odd mixes, for microbreweries and microdistilleries abound alongside major manufacturers such as Freightliner Semi’s, Nike shoes, and Columbia Sportswear clothing. In addition, the Port Authority is the largest shipper of wheat in the nation and whereas Portland became a major producer of steel in the nation during WWII, it remains a major player in this market. Finally, Portland has earned the nickname Silicon Forest because over 1200 tech firms have located there in recent years. We have been a world-leader in private charter jet flights for many good reasons. CFG ensures that clients get what they want in a private charter by being one of the most flexible flight companies in the industry. We only hire the best personnel and retain only those keeping their sterling record shining; if not, such persons are required to seek employment with others. Charter Flight Group is fiercely loyal to our private charter clients for we know that our clients remain fiercely loyal to us, for we are simply the best at what we do in order to provide the experience you deserve.